Maxwell Hutchinson – Architect, Author, Broadcaster, Keynote Speaker and Conference Presenter/Chair. Maxwell Hutchinson was President of the Royal Institute of British Architects from 1989 to 1991. 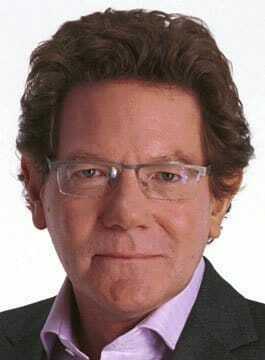 He is a practising architect and regular radio and television broadcaster. In the year 2000, he was runner up for the BT Regional News Presenter of the Year Award and has since been nominated for two Royal Society of Television Awards. His better known buildings include Skylines on the Isle of Dogs, JS Pathology’s Headquarters at Camden Lock, Aztec Row in Islington and Pink Floyd’s recording studio in Britannia Row. His architectural practice, has been appointed as the Architects for the proposed conversion of the Sir Christopher Wren Church of St. Nicholas Cole Abbey, near St. Paul’s Cathedral, into the National Centre for Religious Education. For ten years Maxwell Hutchinson was Chairman of the Permarock Group of Building Product Manufacturing Companies, of which he was a founder. He was a visiting Professor at the University of Westminster and previously at the Universities of Nottingham and Queens Belfast. He is also the Founder and Life President of Architects for Aid, a charity he set up in 2003. BBC London 94.9FM – “Landmarks and Lost London”, covering London’s architecture, which is broadcast live from the streets and covers London’s history. BBC London News – “The Max Files”, which ran for over five years covering areas of hidden London in detail. He is a regular contributor to BBC Radio 4’s “You and Yours”, BBC Radio 2’s “Jeremy Vine Show”, and Radio 5 Live’s “Late Night Live”. He has also contributed to various programmes on LBC radio and has worked on the production team of the Bafta award winning Radio 4 play ‘The Dark House’ and BBC Radio 4 – Let There Be Light. Demolition Detectives for Channel 4, The Good, The Bad and The Listed for Carlton TV, Hidden Heritage for Anglia Television, Restoration Nation for BBC4 and BBC2, Inside Out for BBC London, How to Rescue a House and Visionaries Wren Versus Foster for BBC 2, The One Show and Songs of Praise for BBC1, Hotel Secrets – The Savoy and The Ritz Hotels for The Discovery Channel, Eltham Palace for the UK History Channel and Man Made Wonders of London for BBC1 & BBC 2 for which he was Nominated for an RST Award. Maxwell Hutchinson has written and presented three series (90 x 30 minute programmes) for Discovery TV on architecture, engineering and science ‘Prefabs and Palaces’, ‘Mod Cons’ and ‘Pure Inventions’ as well as two half hour programmes for BBC2 First Sight covering Glass Houses and the London Skyline, and a documentary – Eleanor of Castile for Five. Maxwell Hutchinson also wrote and presented the 6 x 60 series No 57, The History of A House covering the social history of a Georgian House over a 200 year span up to and including the present day for Channel 4. His book No. 57’, The History of a House accompanied the series. Hilton Group – The Panorama of Architectural History.